The Barcelona’92 Games’ economic legacy can be divided in five branches: job oportunities, economic impact, skills development, city showcasing and tourism destination. 20,230 permanent and 41,450 temporary jobs generated (1986-1993). The Barcelona’92 Games left a knowledge or intellectual legacy to the city, which has capitalised on its sports management know-how, which includes new skills, know-how, expertise, methods and tools. Barcelona has become established as one of Europe’s sporting capitals and boasts facilities and services to host international competitions in multiple sports. Sport events have been placed as one of the strategic issues in the city sports policy. Another example of human capacity is the creation of technological companies or the development and establishment of new forms of cooperation amongst stakeholders. Tourism was one of the most important direct economic growth sectors of the Olympic Games, and continues to be one of the pillars of both Barcelonas and Catalonias economies. This is one of the legacies of Olympic Barcelona. Regarding the number of hotel beds, Barcelona’s situation one year before the Olympic Games was the same as Atlanta’s, and lower than other Olympic cities such as Seoul and Sydney. Two years after the mega event, the number of hotel beds in Barcelona was four times higher than in Sydney and Atlanta, and was twice as high as the South Korean capital (Brunet 2011). 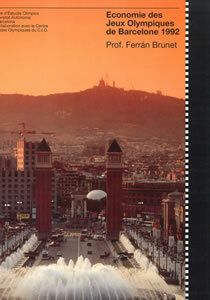 In terms of the number of visitors, Barcelona’s margin of growth was much higher than the other three Olympic cities. Barcelona’s geographical position also helps to explain why there was an explosion of tourism in the city. Its historical and cultural offerings, its climate and its combined offerings throughout Catalan territory between the mountains and the beach help to understand the city’s tourism ranking, which the Barcelona’92 Olympic Games are considered to have definitively triggered. In short, while the Olympic Games led to a transformation of the productive fabric beyond tourism, Barcelona continues to be an internationally recognised year-round tourist destination, be it for leisure or for business (conferences, fairs, etc.). 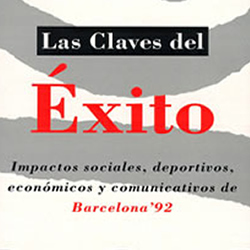 Brunet, Ferran (2002): “Anàlisi de l’impacte econòmic dels Jocs Olímpics de Barcelona, 1986-2004”. Miquel de Moragas; Miquel de Botella. 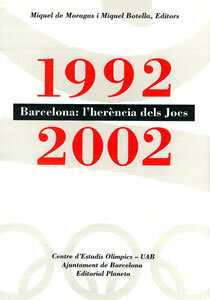 Barcelona : l’herència dels Jocs (1992-2002). 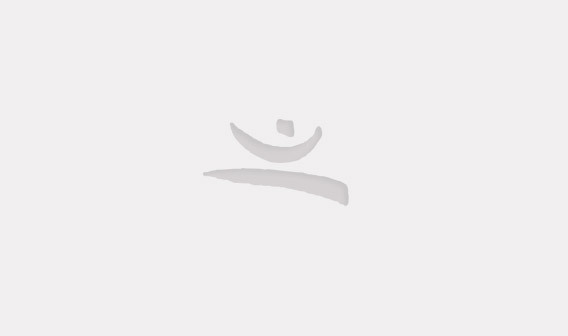 Barcelona : Centre d’Estudis Olímpics, Editorial Planeta S.A., Ajuntament de Barcelona. Fira de Barcelona (1991): El sector de la construcción en Catalunya y los JJ.OO. 1992: su impacto industrial y urbanístico. Barcelona: Fira de Barcelona.